Here's our first look at the streaming company's next big exclusive. We'll soon learn why Netflix spent $40 to $50 million on a live-action adaptation of the anime series Death Note. The streaming service revealed the first teaser for the film this morning and announced that it will premiere on August 25th. It's a particularly big get for Netflix: Death Note was wildly popular during its initial manga and anime runs, and it's spawned several live action films in Japan (there's even a musical!). Death Note was also one of the few anime series that have been regularly available on Netflix for several years, which gave subscribers plenty of chances to dive into it. So despite the big budget, it makes sense for Netflix to be the home of an American adaptation. 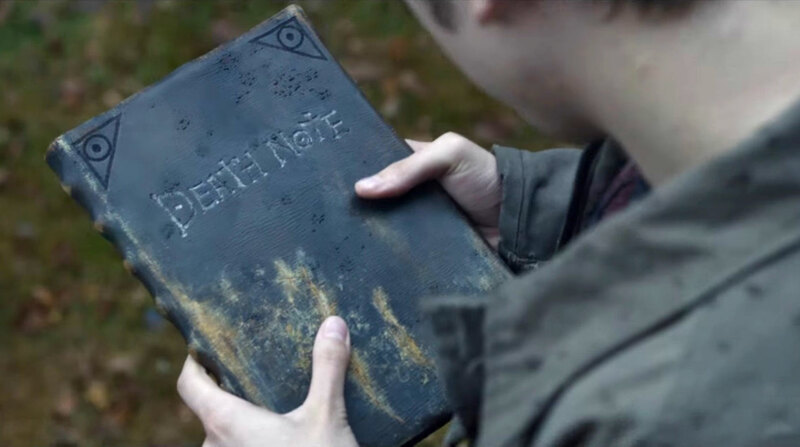 The series centers on a disaffected high school student, Light (Nat Wolff), who stumbles on the "Death Note," a book which has the power to kill anyone whose name is written in it. As Light goes on a killing spree, he's also hunted down by a genius detective, L (Keith Stanfield). It all sounds a bit silly when you summarize it, but the original series ended up being a thrilling game of cat and mouse. The adaptation relocates the action from Tokyo to Seattle, and it also brings in Willem Dafoe as the voice of Ryuk, the Death Note's demonic owner. It's also in the capable hands of director Adam Wingard, who's helmed several solid horror films and thrillers (You're Next, The Guest and segments in V/H/S 1 and 2). Based on the trailer, the remake looks suitably stylish and moody. Dafoe, in particular, seems perfectly cast. Netflix is no stranger to original films these days, but Death Note is one of the first big budget gambles for the company. It won't be the last, though: Netflix has also shelled out $90 million for the Will Smith film Bright, $60 million for Brad Pitt's War Machine and it reportedly spent over $100 million on Martin Scorsese's next movie, The Irishman, starring Robert DeNiro. While it costs a lot more to produce new material, rather than just license existing catalogs, the exclusive content both entices new subscribers and convinces existing members to stay. And of course, it serves as material that Netflix can easily bring into new territories, without worrying about regional licensing rights.